It has always been said that prevention is better than cure – and this saying holds even more importance when it comes to dental health. Life Dental Implants in London offers general routine dentistry treatments and solutions, because it is much better (not to mention, less expensive) to deal with possible dental problems and issues before they to develop. it is better to invest in dental maintenance and stay healthy than to try to get dentally healthy after things go wrong. 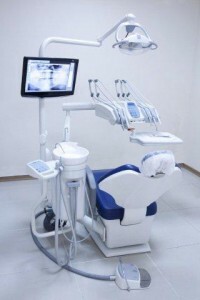 Routine dentistry treatments and procedures include dental checkups, dental X-rays, general dental hygiene advice, diagnosis and treatment of gum problems, oral/breath care, teeth fillings, dentures and bridges, dental implants and a number of other dental procedures. These dental treatments are necessary in ensuring that good dental health care is achieved and maintained, so that dental problems and complications can be avoided in the future. Maintaining good dental health is necessary to avoid the pain, discomfort and added expense that can result from dental problems and the accompanying complications. Life Dental Implants London provides you with the information and treatments that you need and deserve to be able to enjoy optimum dental health not only at present, but in the years to come as well.